They could be standing next to you in the Starbucks line or sitting nearby at your child’s soccer game. They may be checking your vital signs or providing you with financial advice. Former college tennis players are all around, and some may never know they share a common bond. The Intercollegiate Tennis Association is trying to change that by creating the College Tennis Alumni Network. Designed as a way to connect former players and increase support for college programs, the initiative incorporates all levels of college tennis - from NAIA to NCAA to community college. The ITA is branding the unifying network #TeamCollegeTennis, with a tentative launch date of early 2019. To help ensure the network meets the needs of all alumni, the ITA is encouraging players and coaches to take this survey to provide feedback. The ITA estimates there is a minimum of 100,000 college tennis alumni currently residing in the United States. They are mothers, fathers, doctors, lawyers, teachers, coaches, government officials and CEOs just to name a few. The College Tennis Alumni Network can be used as a networking tool both professionally and socially. Former players can discuss potential business deals, receive advice and recommendations or just find a hitting partner in the area. The ITA also views the network as a way to keep the fan base engaged and help promote and grow college tennis. Former players are great messengers about the value of the college tennis experience. They can introduce others to the game and provide support to current players by attending matches or events. The ITA will be charging a nominal fee to join the College Tennis Alumni Network, with the proceeds benefiting ITA membership and college tennis programs. The ITA held an alumni social in Seattle in February to help facilitate camaraderie among former players. It has an event scheduled for this Thursday in New York City, and another at the Milwaukee Tennis Classic on September 23rd. Former USC player Michael Grant and former Ohio State player Connor Smith are organizing the event in New York City. They work together at A&E Real Estate. Grant and Smith were both encouraged by the ITA’s pursuit of forming a nationwide College Tennis Alumni Network. Smith still remembers the connections he fostered during his junior, collegiate and professional tennis career. He always looked forward to seeing players and friends at tournaments and events each week. Having the bonds remain through adulthood is something Smith believes many former college players would welcome. College Content at TennisRecruiting.net is sponsored by K-Swiss. At K-Swiss we are 100% invested in the sport of Tennis and committed to helping players play their very best and win at every level. 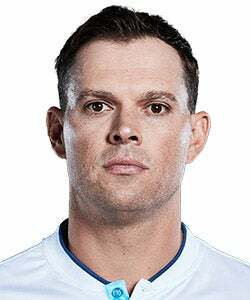 From a competitive junior or adult player to the greatest doubles team of all-time, Mike and Bob Bryan. For over 50 years we have been making some of the most innovative, high quality tennis footwear in the game featuring the very best in comfort with a consistent fit. We encourage you to try the K-Swiss shoe that is best for your game. 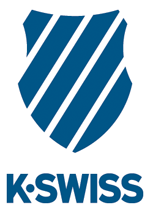 Connect with K-Swiss on Facebook, Twitter, and YouTube - or on their website. New Jersey City University is adding men's and women's tennis programs, beginning at the club level in 2019-20 and elevating to full varsity status for the fall of 2020. The programs will join the New Jersey Athletic Conference. Members of the Kansas State women's team wrote letters of support for Jordan Smith when he was in the running for a promotion to become the head coach. It was a happy surprise for Smith, who sprung his own surprise on the players. Find out more in this month's "Meet The Coach." Columbia women's tennis players Paulina Ferrari and Caitie Sullivan wanted to find a way to support and empower female athletes on campus. They started FAST - Female Athletes Standing Together. The organization has expanded quickly and attracted female athletes from a wide array of sports.